Our goal is to connect people with the best local experts. We scored landscapers on more than 25 variables across five categories, and analysed the results to give you a hand-picked list of the best landscapers in St. Louis, MO. Aim to Amaze Outdoor Services is located in House Springs but serves South County, West County, Jefferson and Franklin Counties and the St. Louis metro area. For over twenty years, they have provided complete tree, lawn, and landscaping services and are always happy to provide free estimates. Founded in 1993, Allen Outdoor Solutions has won Angie's List's Super Service Award three times, in 2012, 2013 and 2014. Their services include full landscaping and hardscaping services, electric dog fencing, sprinkler systems, water features, and outdoor living solutions. They also offer snow removal during the slower months. Big Bend Landscaping, located in Kirkwood, has been featured in Houzz. For over ten years, they have specialized in installing outdoor living spaces, retaining walls, paver stone projects, paver restoration and drainage solutions. All of their stone work and labor comes with a five-year warranty. Chesterfield Valley Nursery opened its Garden Center over 25 years ago. Since that time, they have offered design, building, and property maintenance services. This company dedicated itself to function as a Christian Organization in 1989. Customers find Dreamscapes Outdoor Services to be knowledgeable, trustworthy, creative, and easy to work with. Located in Collinsville, Illinois, they specialize in water features and outdoor lighting in residential, commercial and professional settings. Eschmann Custom Hardscape specializes in providing unique, fine-quality stonework. For over twenty years, this company has been a forerunner in concrete construction. They offer a variety of finishes which include stamped, broom, swirl and hard trowel. Eschmann Custom builds everything from new home entryways to garden fire pits. Frisella Nursery has been operating in the area since 1953. They pride themselves on their unique plant material and design. In addition to their Defiance-located garden center, they also offer both residential and commercial landscaping and irrigation services. Green Thumb Lawn & Landscape won the 2015 Home Advisor award for Best of Landscape Contractors in St. Charles. Besides lawn mowing, leaf raking and flower bed mulching, this company builds retaining walls and paved walkways. They have been in business for both residential and commercial projects since 2005. Hackmann Lawn & Landscape LLC opened in 2000, offering their landscaping services to St. Charles and the surrounding suburban St. Louis area. Services include patio paving, retaining walls, edging, and landscape design, as well as basic lawn mowing and leaf and snow removal. Home Scapes was established in Kirkwood in 2005, although the owner has longer experience in landscaping. This company specializes in emphasizing the integration of nature and architecture in their projects and tries to introduce native plant life back into its projects. Their rainscaping service is a popular specialty. In August, 2015, Kaestner Lawn Care became part of the larger Deck & Patio Living. Thelarger business aims to provide a complete outdoor living experience from simple lawn mowing and leaf cleanup to the installation of outdoor kitchens, screened rooms, awnings, lighting, and even lawn furniture. Lawn Masters has offered its lawn, planting, and maintenance services to the St. Charles and West County areas since 1983. They specialize in basic lawn care and hold a license in pesticide application from the Department of Agriculture of the State of Missouri. M & P Landscaping has been providing residential and commercial lawn care since 1995. Their services include not only regular lawn maintenance, but also cleanup, retaining walls, and drainage systems. Their 55-member staff insures there is always a team available for your lawn care needs. The company also offers a Turf Maintenance Program for greater convenience. Mizzou Crew Landscaping serves South and West St. Louis County. While their services include basic lawn care and shrub trimming, their specialty is leaf removal and spring clean up projects. They have a leaf vacuum available for curbside leaf removal. M J Lawn LLC has been in business since 2011, gaining a reputation for their reliable and professional lawn care services. They offer customers in the St. Louis area lawn mowing, weeding, trimming, and snow removal services. For each referral, they offer a free lawn cutting. O'Hara Landscaping/Lawn Care has been in business in the St. Louis area for more than a decade. Serving both residential and commercial clients, they offer basic lawn care and landscaping maintenance services. Their individual service plans include weekly, bi-weekly, tri-weekly, and monthly plans. Poynter Landscape Architecture & Construction specializes in outdoor living spaces. They have won eight National PLANET Environmental Improvement and Design awards and have been named "Reader's Pick" for best landscape designer in the St. Louis At Home Magazine. Their memberships include American Society of Landscape Architects, American Nursery & Landscape Association, and the Professional Landcare Network. Quiet Village Landscaping is a Planet Award winner. They have a passion for sustainable and environmentally-friendly landscaping practices which they offer in Central, West End, Chesterfield, Clayton, Ladue, Lyndell, Richmond Heights, St. Charles, St. Peters and Wyndown. They provide full-service design, construction and maintenance. RF Landscape Services is an Area Project Clear preferred contractor with over 25 years' experience. They offer complete landscape design, construction, and maintenance, as well as seasonal snow removal. Specialties include pool, deck, fire pit, and patio construction. Arnold is home-base for Shelton Landscape and Maintenance. For over thirty years, this company has provided landscape and design, including boulder walls, concrete decks, flagstone walks and retaining walls. They received Angie's List Super Service Award in Landscaping three years running, 2011, 2012 and 2013. In 2013, they also won Angie's List Super Service Awards in both Hardscaping & Pavers and in Lawn and Yard Care. Since 1993, Spectrum Lawn & Tree Care has offered full-service lawn care, landscape maintenance, and snow removal. They offer a special spring clean up service and removal of smaller trees. Spectrum serves St. Charles and St. Louis Counties. The Garden Kingdom is located in Glen Carbon, IL. The owner holds a degree in Landscape Architecture from the University of Illinois. Services offered include landscaping, irrigation, lighting, and water features. They also offer a complete holiday light program. 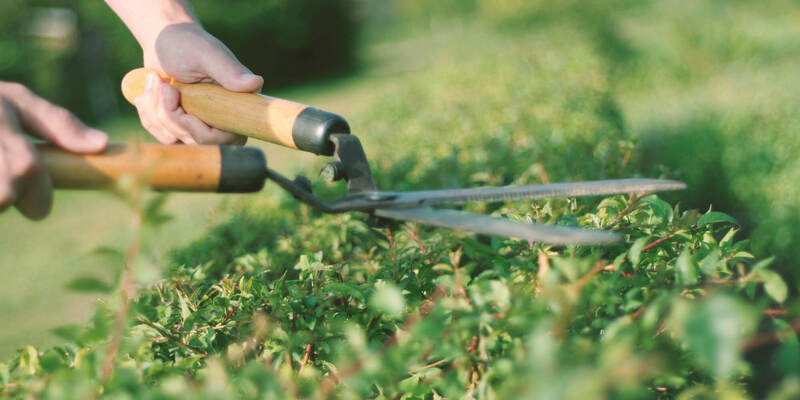 ThriftyCuts Lawn Care is located in Fenton, offering basic lawn care, fertilization, edging, planting, leaf and snow removal, and shrub trimming. In addition to their regular services, they can be hired to provide power washing or to prepare a property for special events. This company works on a one-time basis rather than seasonal programs, relying on their great service to bring return calls. TJW Landscaping is located in St. Peters and does the majority of their work in St. Charles County, but will travel further for more involved landscape projects. They offer basic lawn cutting and landscape services in St. Peters, St. Charles, O'Fallon, Cottleville and Lake St. Louis. Two unique services they offer are rain barrel installation and holiday light displays. This company offers both senior and military discounts.